Well finally Linux Mint 13 has done an about-face and decided to go back to the original Desktop foundation. Hooray is all I can say. It’s not that I don’t like change. I love a streamlined desktop with all the buttons handy and not have to dig and search for them. I want my desktop slick and fast. Gnome 3 while quite beautiful seemed bogged down and memory hungry by comparison to it’s predecessor. Here’s a great article on the PCLinuxOS Magazine site. For those of you interested have a look at what the Gurus at PC World have to say. More reading here from another perspective. Gnome 3 This is the end it seems. If you want to know more about Linux Mint 13 Maya I haven’t tried 13 to date. (will be very soon). Okay now I’ll be honest, I love to build and tinker with various hardware & software. 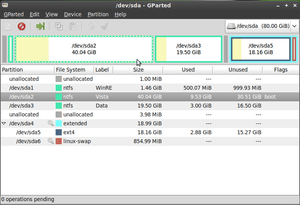 Currently I’m running Linux Mint 11 & 12 in all blends on various PCs & laptops. Along with my new project building my Dream HTPC unit. I plan to upgrade to Mint 13 has long-term ongoing support. This entry was posted on May 26, 2012, in LinuxMint and tagged Desktop environment, GNOME, Linux, Linux Mint, List of Ubuntu releases, Operating Systems, PC World, Software release life cycle, Ubuntu. welcome to my new project. Building the perfect HTPC that suits my needs and that of the family. I think the builds I have gone for are not necessarily the fastest nor the most beautiful. However the aim is to see how cheap I can build a reasonable unit as compared with current Media players for sale out there in the market. This is actually not so easy to do here in Australia. Why you may ask, red tape I suppose. We can import some but not all parts, motherboards and cases from places like: Amazon. & NewEgg. They both have fabulous cases but they do not ship all available direct to Australia. NewEgg don’t ship anything at least they didn’t last time I checked. To buy a decent build quality small box you will need to spend at least $80 plus. My pictures of the units I have built so far are to follow at a later stage. For now I will say I was able to find some pretty nifty looking small boxes for a reasonable price scrounging through the net but the quality is just so so. The One I love but it’s really not a micro PC is a Thermaltake. The most expensive of all of them so far. That’s for later too! Overall none of them cut the mustard for what I wanted to build in the end. Astone Media Players networked throughout the house. It was time to have a slicker setup. With a bit more reading I found it for a great price $220 at times it is lower according to what I have researched. This included 2GB Ram and a fairly useless 250GB drive. Plus more as per the first link: 250GB drive and memory will come in handy somewhere I’m sure. Even though this model has been around for a while, I still could not have achieved the build quality nor the motherboard, drive and memory all included for the $220 it initially cost me. If I had tried to build this it would have ended up costing more than $300. I can put 6 drives plus into it. I have increased the RAM to 8GBs apparently 16GBs can also be achieved. I added a video card which I had lying around and will update with the models of these items a bit later. Why this server, well the plan is to set it up as a fully fledged HTPC with XBMC or Freevo thinking it will be XBMC. So the original plan for it has changed after understanding the N40L is capable of. I have already been using XBMC successfully with one of the HTPCs I previously built running Linux12. Linux 13 is now out & available. (UPDATE) LinuxMint 13 now installed. What you need to do this: An understanding & some knowledge of Linux and or be keen enough to travel a rather steep learning curve. Why would anyone want to do this: For me it’s fun, and I hate with a passion proprietary software which is so restrictive it shackles my creativity. All of the software I use to do this is Free and that’s a bonus when being creative in case of stuff ups. TekForums Setup guide: This is a must read. He has done a fabulous job. Reviews: News and what’s happening. Reviews: Installation guides for windows. Home Server Shows Forum for Proliant Microservers photos & users experiences for modding firmware and more. Hope this is enough to wet the appetites of the interested. This entry was posted on May 21, 2012, in HTPCs, LinuxMint and tagged Amazon, gadgets, Hardware, Home theater PC, HP Proliant N40L Microserver, Linux, microserver, NewEgg, Operating Systems, Random-access memory, technology, thecus, XBMC.